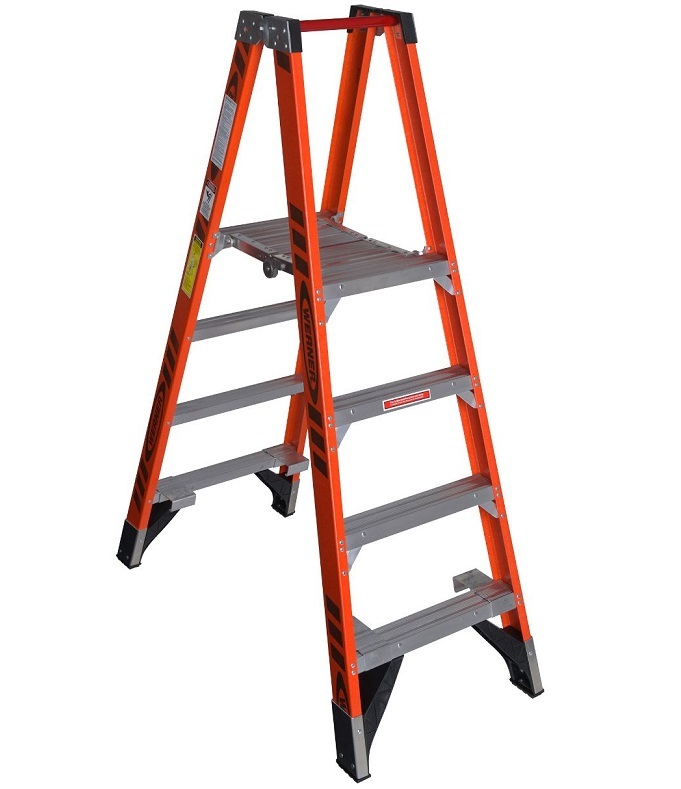 The PT7404 Fiberglass 4ft Platform Ladder has a duty rating of 300lb per side and features a large platform that provides a secure and comfortable work area. The PINCH-PROOF™ platform is designed for easy opening and closing. Aluminum external rail shields help protect the rails against abrasion damage. Slip-resistant steps are on the front and rear sections for one or two-person jobs. Fiberglass rails are non-conductive for working near electricity.